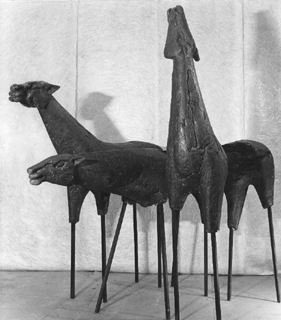 This lifesize sculpture was the centrepiece of a 1972 exhibition held at the Archer Gallery. London. Using a technique of molding fiberglass. Henghes created a series of large works from 1969 to 1972 of which this forms part.